Visit Buntingford Hertfordshire and the surrounding villages and stay in B&B, hotel or holiday cottage accommodation provided by BedPosts members. The town of Buntingford, the smallest in Hertfordshire with a population of 5000, lies on the River Rib. Its position on the Roman road Ermine Street helped foster its growth as a staging post with lots of coaching inns. See The Cage a one cell prison built in the 1700s. There are lots of Georgian and mediaeval buildings, including the almshouses, Buntingford Manor House and the Red House. 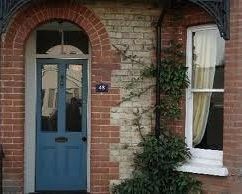 If you seek accommodation near Buntingford in Hertfordshire you have come to the website of a “club” of providers who offer affordable quality accommodation around UK in hotels, bed and breakfasts, guesthouses, inns, and restaurants plus self-catering cottages and apartments .